ISE Update: WHERE THE GLOBAL ENDOCRINOLOGY COMMUNITY UNITE FOR THE 1ST TIME IN AFRICA! WHERE THE GLOBAL ENDOCRINOLOGY COMMUNITY UNITE FOR THE 1ST TIME IN AFRICA! Joining forces with the collective aim of furthering the scientific studies and clinical practices of all branches of Endocrinology, Metabolism and Diabetes throughout the world, the International Society of Endocrinology (ISE) and the Society for Endocrinology, Metabolism and Diabetes of South Africa (SEMDSA) will host the landmark 1st global gathering of endocrinologists on the African continent - ICE 2018 on 1-4 December 2018. 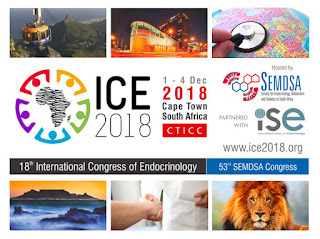 The 18th International Congress of Endocrinology is being held jointly with the 53rd Annual SEMDSA Congress in the vibrant and colourful city of Cape Town! 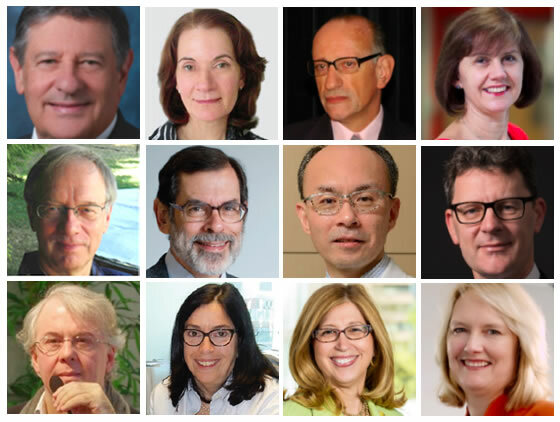 Delegates can expect an engaging scientific schedule featuring diverse representation and academic excellence from a true global perspective appealing to the entire endocrinology community of clinicians, scientists, nurses and allied health professionals. In addition to a rich academic program and invaluable opportunities to meet face-to-face with colleagues from around the world, be sure to plan your visit to experience the vast array of stunning attractions, diverse culture and sporting opportunities that Cape Town has to offer. Individual members of ISE Member Societies receive $150 discount on registration fees and up to 100 Travel Grants are available to support the participation of early career researchers from ISE Member Societies. 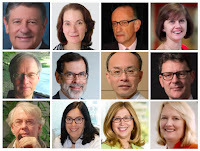 Our international Program Organising Committee comprising world renowned endocrinologists (International Co-chair: Dr Shlomo Melmed, Dr Berenice Mendonca, Brazil, Dr Ariel Sanchez, Argentina, Dr Marta Korbonits, UK, Dr Ilpo Huhtaniemi, Finland, Dr Henry Kronenberg, USA, Dr Hirotaka Shibata, Japan, Dr Alberto Pereira, Netherlands, Dr Jacques Young, France, Dr Susan Mandel, USA, Dr Teresa Woodruff, USA and Dr Helena Teede, Australia) are working hard with local South African experts to craft an inclusive and innovative scientific program, truly reflective of our global endocrinology community! Click here for preliminary program details. 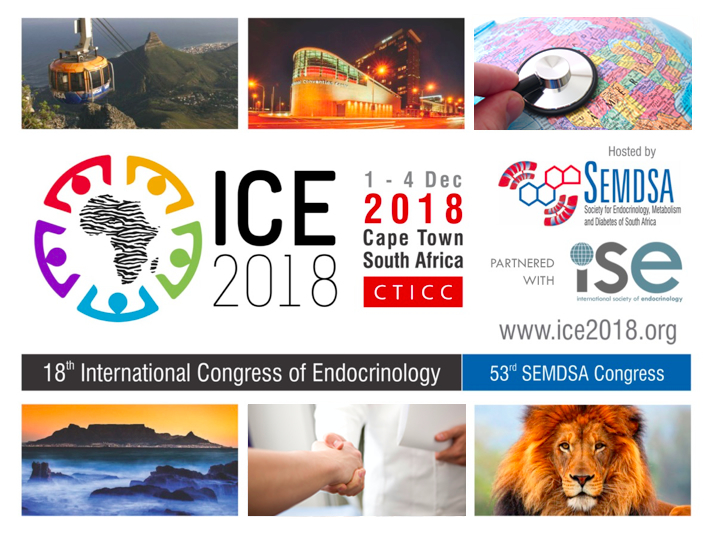 Don’t miss out on the unique opportunity to be part of the largest general endocrine conference to take place in Africa - visit www.ice2018.org and start to make plans to participate today!